Sino-doll - life-like and life-sized silicone dollls. The company is located in Guangdong province (廣東省 / 广东省) in Southern China. Guangdong Sino Environmental Technology Co., Ltd. is a spin-off from Guangdong Sino Environmental Technology Co., Ltd. (GNSETC). Both company branches separated in late 2017. 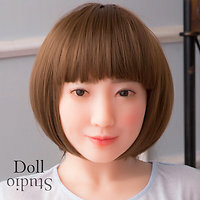 The Sino-doll SI-172/H is a female silicone love doll by Sino-doll. She has a body height of about 172 cm (with head) respectively 155 cm (without head). The SI-172/H weights ca. 46 kg (manufacturer specs). Body measurements: 98 cm (bust) × 61 cm (waist) × 96 cm (hips) / 70 cm (under bust) / 28 cm (neck circumference) / 40 cm (shoulder) / 74 cm (arm length) / 18 cm (hand length) / 85 cm (leg length) / 54 cm (thigh circumference) / 24 cm (calf girth) / 21 cm (foot length). 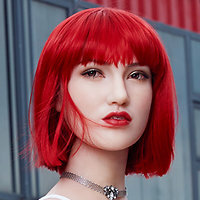 The Sino-doll SI-161/E is a female silicone love doll by Sino-doll. She has a body height of about 161 cm (with head) respectively 146 cm (without head). The SI-161/E weights ca. 35 kg (manufacturer specs). Body measurements: 85 cm (bust) × 56 cm (waist) × 87 cm (hips) / 63 cm (under bust) / 28 cm (neck circumference) / 36 cm (shoulder) / 68 cm (arm length) / 15 cm (hand length) / 80 cm (leg length) / 47 cm (thigh circumference) / 31 cm (calf girth) / 20 cm (foot length). Sino-doll S02 aka Emma is a female head by Sino-doll. Sino-doll S03 is a female head by Sino-doll. 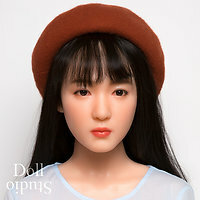 Sino-doll S04 is a female head by Sino-doll. Sino-doll S05 aka Mei is a female head by Sino-doll. 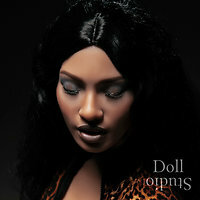 Sino-doll S01 aka Debby is a female head by Sino-doll.